As everybody in the United States, as well as a few weirdos elsewhere, will know, Super Bowl LII took place this past weekend. And while in sporting terms the Philadelphia Eagles beat the New England Patriots, Netflix was the real winner. And it’s all thanks to The Cloverfield Paradox. The Cloverfield Paradox is the latest film in a loosely connected series of films created by J.J. Abrams. It started with Cloverfield in 2006, before 10 Cloverfield Lane followed in 2016. Now, less than two years later, we have another Cloverfield film released exclusively on Netflix 10 of the Best Original Netflix Movies Worth Watching 10 of the Best Original Netflix Movies Worth Watching Not all of the original Netflix movies are good, of course, but many of them are. Here are some of the best original films that Netflix has funded to date. Read More . As you may already be aware, Netflix revealed the first trailer for The Cloverfield Paradox during Super Bowl LII. And thanks to the way it operates, it was able to make the film immediately available to watch at the end of the game. And millions duly clicked Play as commanded. Most critics who rushed to watch The Cloverfield Paradox have given it negative reviews. They consider it a sloppy mess with unresolved plot points and underwritten characters. And while these criticisms may be fair, they won’t prevent millions of Netflix users from watching the film. This is why Netflix has won regardless. For the cost of a 30-second spot during Super Bowl LII and the rights to The Cloverfield Paradox, the company has made headlines. And even with the film itself getting panned, Netflix has got everyone talking about Netflix and its place in the world. 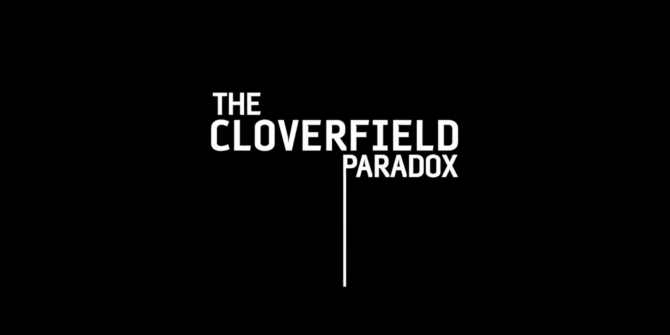 The Cloverfield Paradox was originally called The God Particle and was destined to be released in theaters later this year. But it looks as though Netflix swooped in and bought the rights instead. Which, given the negative reaction to the film, looks like a good decision by Paramount Pictures. The Cloverfield Paradox is a middling science fiction thriller 6 New (ish) Science Fiction Movies Better Than Star Wars 6 New (ish) Science Fiction Movies Better Than Star Wars Is Star Wars really the pinnacle of science fiction movies set in space? Haven't several films already surpassed the Star Wars series? Here are six we consider to be better... Read More . And if it had been released in theaters it would have been a box office flop. However, Netflix users will watch The Cloverfield Paradox in their millions regardless of the film critics’ views. And that’s really all that matters. Have you watched The Cloverfield Paradox yet? If so, what do you think? Is it as bad as the critics are suggesting? Or are they just butthurt at not being given early access? Was streaming it immediately a masterstroke by Netflix? Please let us know in the comments below! cost might have made it more of a gamble for the studio. I also have a feeling this might have had the Cloverfield branding slapped on it after production wrapped. It's fun, not as 'Smart' as it thinks it is - I'd recommend watching it.
" if it had been released in theaters it would have been a box office flop." Says who? The film critics? You make it sound like they are objective and impartial. They are fallible humans, just like you and I, with their own prejudices and biases. Who knows why they panned The Cloverfield Paradox. There have been many movies in the past that became blockbusters after being panned by the critics. OTOH, there were movies that critics raved about but which the movie goers didn't go for. Ultimately, it is the movie goers who determine the financial success or failure of a movie, not the critics. Having said that, the trailer did not make me want to watch the movie. To me it looks more like a video game than a sci-fi or a fantasy movie.